If there's ever a time to slow down and take a break at work, it's during the summer. When the sun is blazing and it's hot outside, sometimes you just gotta give yourself a well deserved break. 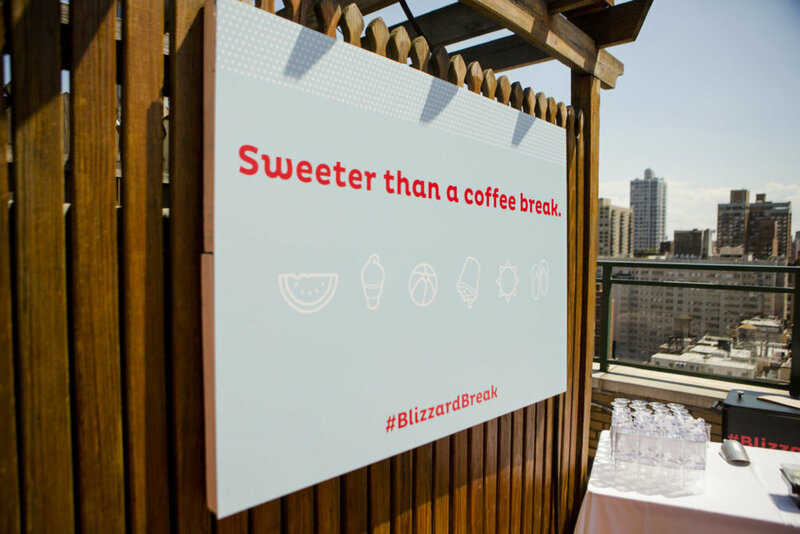 That "taking a break" frame of mind was the inspiration for how we styled a spectacular event for Dairy Queen last week on the roof of Rare Bar and Grill. 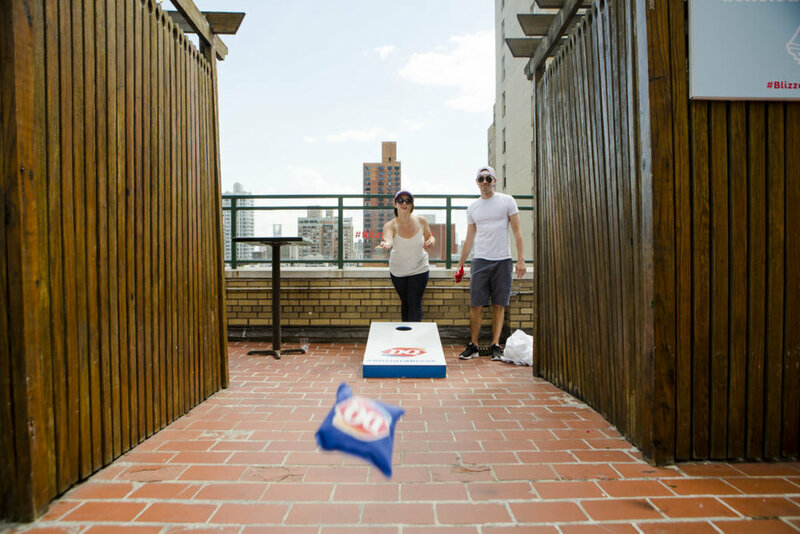 With soaring views in the heart of the city, we turned this incredible space into the ultimate Summer Blizzard Bar where guests were invited to sample the new DQ Blizzard flavors, play games that we set up and take photos in front of the "Flip Yeah" station that we worked with Confetti System to create. One of my favorite parts of this set up was the spoon art that we crafted on the face of the bar. Natalie and our friend Lindsey spent hours sticking these spoons onto the bar for a gorgeous backdrop. 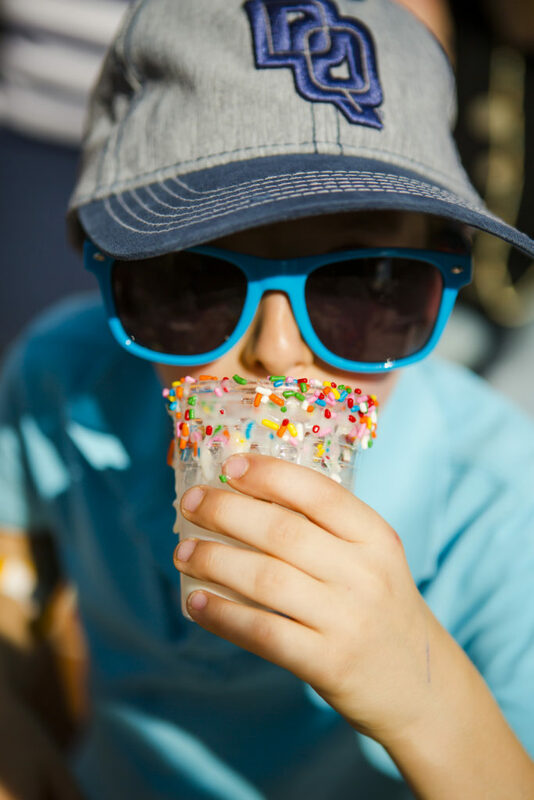 There was a great group of kids who showed up to the event and not only got to enjoy the delicious DQ Soft Serve but got to try out the serving machine themselves! 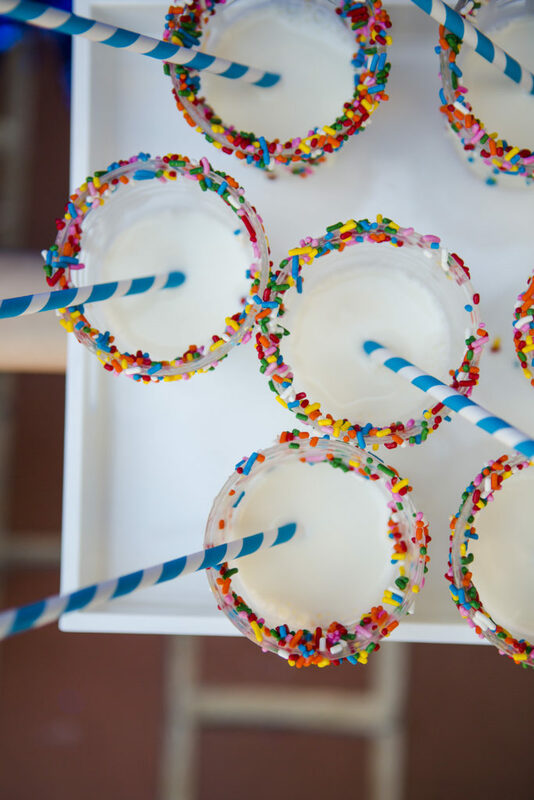 We thought it would be fun to serve ice cold milk in cups that were rimmed with sprinkles. Needless to say these were a hit with the kiddos. At the Flip Yeah photo station, our friends at Confetti System made an upside down Blizzard prop for our guests to pose with. 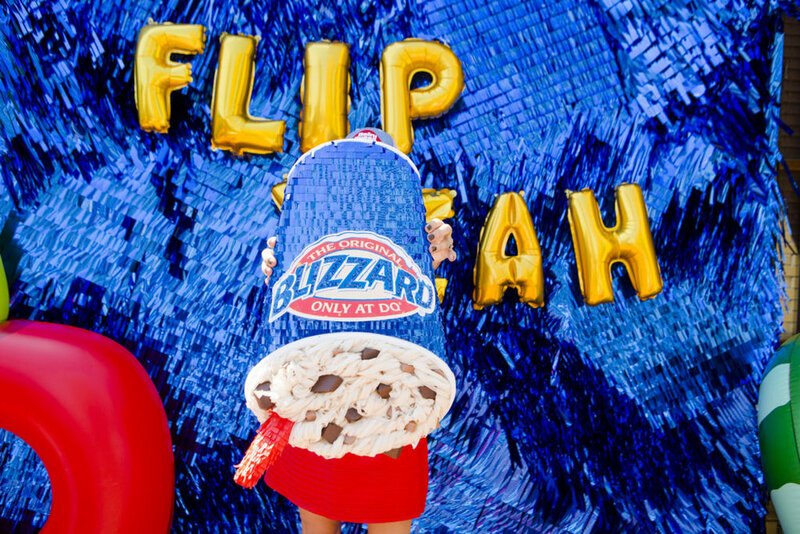 Did you know that Blizzards can be flipped upside down and nothing spills out? I did not have a great appreciation for this fun fact till working with the DQ Team on this party! 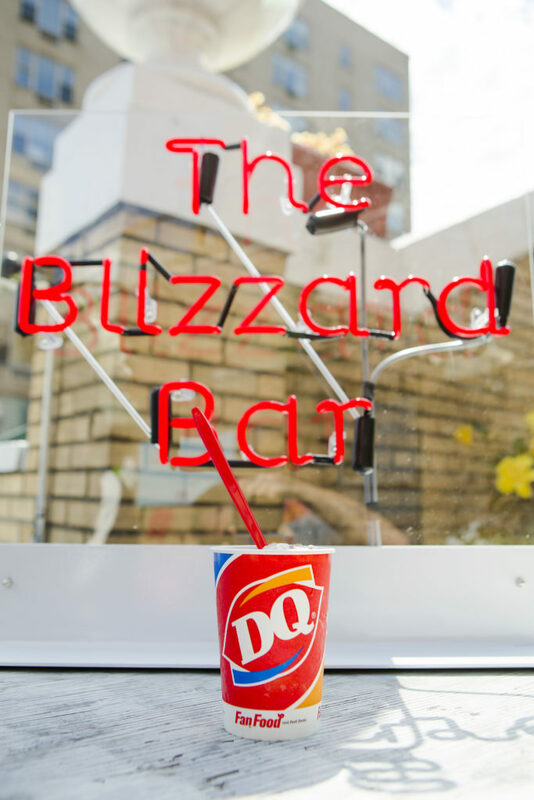 The guys over at Manhattan Neon custom made a neon "Blizzard Bar" sign for us to display so guests knew exactly where to go for frozen treats. We also included a couple of our favorite Double Cherry Pool and Watermelon pool floats from Big Mouth as props for our photo booth. 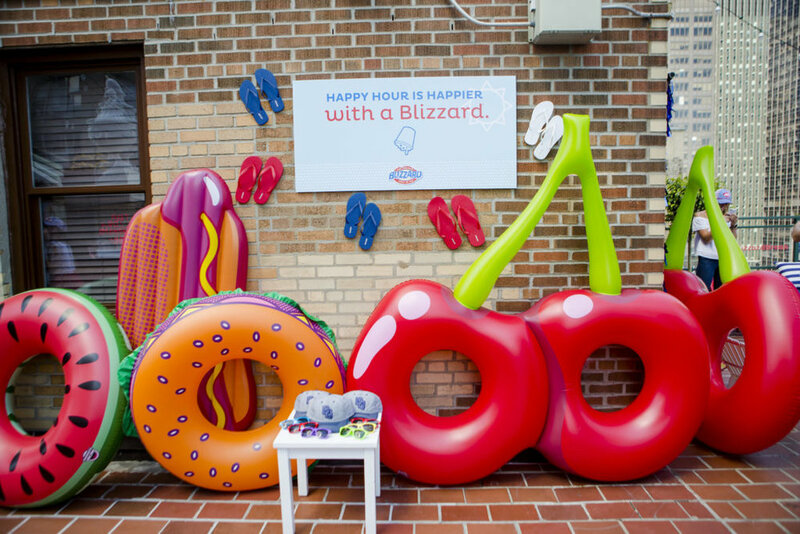 We sure did enjoy our #BlizzardBreak with Dairy Queen at this event. Happy Summer friends, stay cool!